Getting old doesn't mean you have to go to seed. Sure, your body changes over the years -- there's no way to completely outsmart physiology and the accrued effects of environmental exposure -- but exercise and a healthy diet are two of the absolute best ways to keep the Reaper (and wrinkles) at bay. 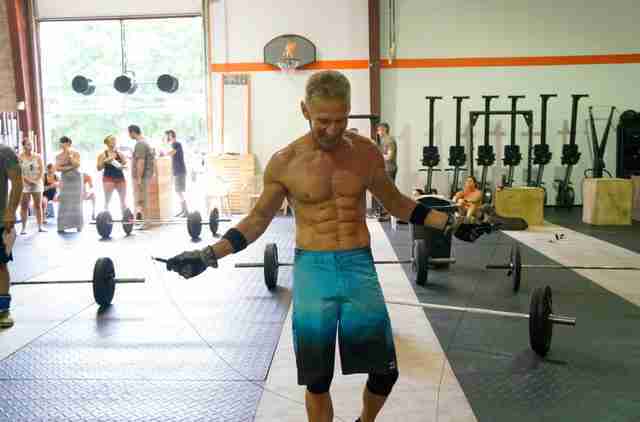 So stop chalking up your muscle loss and spare tire to "I'm just getting older." Muscle mass can be maintained, and even improved upon. These over-60 seniors are proving just that. For real, the abs and arms of Chef Babette -- the co-owner of the vegan restaurant Stuff I Eat and a partner in the new podcast How I'm Livin' with Chef Babette! -- are older than the invention of AstroTurf; older than the existence of human space travel; shoot, older than Alaska's statehood. I don't know, but I think they look pretty damn amazing for being older than the handheld calculator. And she can do 65 push-ups. Like, in a row. Admittedly, she hasn't always been such a powerhouse. It wasn't until she met her husband, Rondal Davis, in 1990 that she left a lifestyle of poor eating and inactivity behind. At the time she took up running and the vegan lifestyle, which helped clear up her lifelong ailments of eczema and asthma. Now she keeps active as the hands-on chef at her restaurant, and with regular runs on the beach and at the park where her husband took her for their first date. During the winter, she adds three weekly personal-training sessions to her schedule, focusing mostly on core and lower-body strength work. 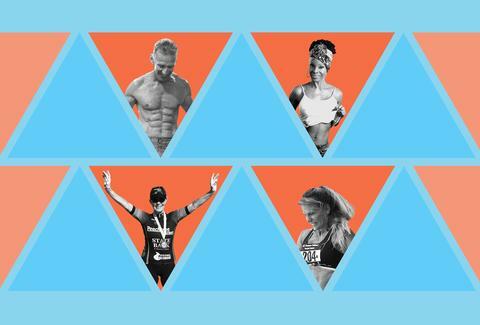 Proof that clean living and an active lifestyle do a body good. Mark Vazzana, likewise, adopted a healthy lifestyle later in life. It wasn't until he was 45 years old that he decided to quit his 30-year smoking habit, join a gym, and start the Zone diet. While most people fear such massive change, his perspective was different: "I knew in order to quit smoking, I needed to change everything at the same time." At 56, Vazzana realized he was having trouble maintaining the fitness he'd gained, and at the encouragement of a young couple, he decided to try CrossFit, "90 seconds in, I knew I had found the Holy Grail of fitness and have been progressing ever since." While he's recently cut back on some of the heavier lifting in favor of more bodyweight-focused WODs (that's workout of the day, for the uninitiated), his typical routine consists of three CrossFit WODs per week, some sprinting, and five hours of yoga and gymnastics in his backyard. That adds up to roughly eight hours of training per week, which may sound like a lot, but for a bod like that? It's really not so bad. So what keeps him motivated? "Staying fit and healthy is important to me so I can take care of my family, run my tree service business, and hopefully inspire others to not let age discourage them." I'd say he's doing a pretty good job. If you're still not convinced that age is just a number, you haven't yet met Cheryl Cherry. 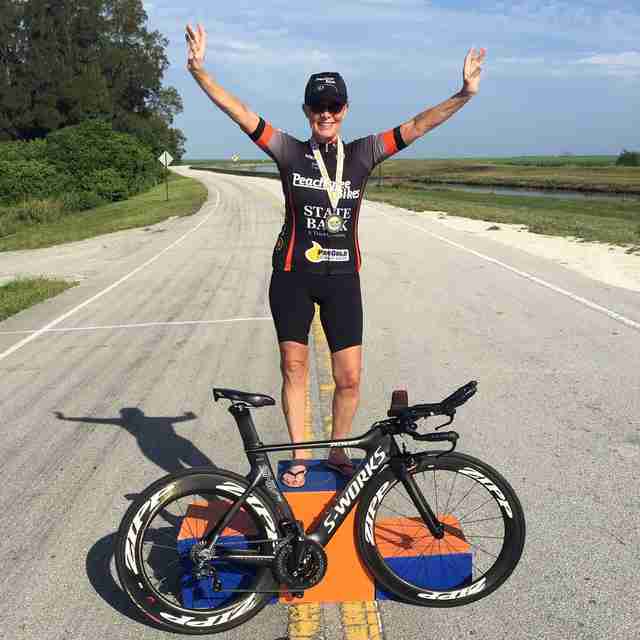 This gold medal-winning cyclist from the National Senior Games did her best to stay active and healthy as a young adult, but hung up her running shoes at age 40 due to persistent knee pain that resulted in a knee replacement in 2005. It wasn't until 2011, at the age of 62, that she underwent her "great awakening" during a vacation on which she struggled to play with and pick up her infant grandson. It was then that she decided it was time to lose weight and get healthy. She and her husband started a TRX strength-training routine at the encouragement of her son -- a TRX Master Trainer -- before branching out into road cycling. It took time, but Cheryl lost 50lbs, and after just four years of consistent hard work, she competed at the 2015 National Senior Games, where she took a gold medal in the 10K time trials and a silver in the 5K. She's also set numerous state records in Florida and South Carolina. These days she plans her days around her workouts, which consist of high-mileage road cycling five days per week, high-intensity interval training two days, and cycling-specific weight training and functional cross-training, including TRX workouts using the suspension trainer and Rip Trainer, on three days. She wraps things up each day with foam rolling and stretching. If it sounds like a lot, it is -- her total training time takes two to four hours a day, six days a week. But at this point in her life, she wouldn't have it any other way: "I absolutely love feeling strong, healthy, and in the best condition of my life!" Don Williams may be the oldest guy on this list, but it's almost guaranteed he could put you to shame on the volleyball court. After riding horses and playing basketball his whole life, he realized at 40 that basketball was getting harder and harder on the body, "I realized I don't like to run, but I can jump really well." After his cousin encouraged him to try volleyball, it didn't take long before he realized he was a natural. 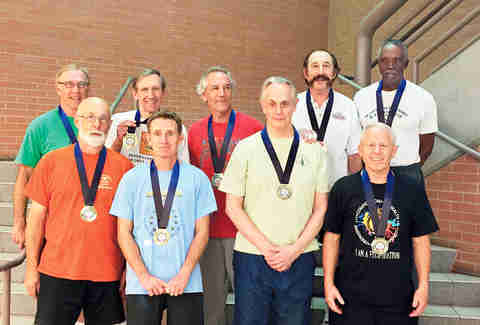 Since turning 50, Williams has played all over the world, from China to Brazil, on World Masters Volleyball tours, the National Senior Games, the World Senior Games, the Arizona Senior Olympics, and the USA Volleyball Association Adult Open Championships. He likes to joke he has more gold medals than Michael Phelps… which is impressive, considering Phelps now holds 23 of those bad boys. Williams competes weekly, so he's almost always on the court and in the gym. And like any true athlete, he feels it's important to clarify, "This isn't grandpa volleyball. One of the things I find with me and the other guys is that they're all Type A personalities. They're all competitive in their mind, even if their bodies are slowing down. They have that drive. They need to be able to release that energy somehow." Kay Glynn's been active her whole life, and this "old lady" can still do cartwheels and walk on her hands -- two skills she incorporates into most of her warm-ups. When she decided to take track and field back up in her late 40s, all her dance training paid off in spades, ultimately serving as cross-training for track. Since then, she's racked up six gold medals in the National Senior Games, including a new world record for her age group in 2011, when she pole vaulted an impressive 10ft, 1in. Do you know how much strength it takes to pole vault at all?! A lot. It takes a lot of strength and skill to use a pole to propel yourself over a puddle, much less a 10ft-high bar. So it's a good thing Glynn has high-jump and pole-vault pits in her backyard (which she begged off of local schools when they were tossing their old models). Her active life hasn't been without hiccups, though. 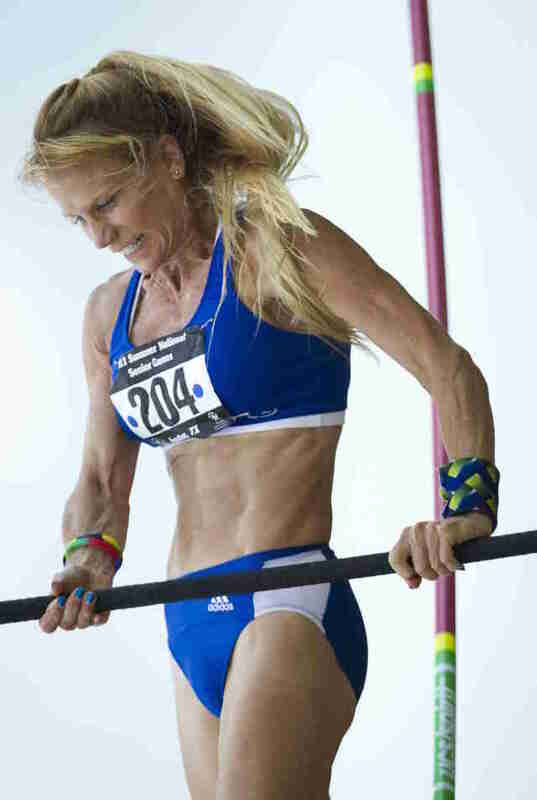 Since she started her late-life track career, she's undergone total hip replacement surgery and rotator cuff surgery. You'd think these challenges would slow her down, but she's every bit as active as ever, training more than two hours a day, focusing mostly on running, flexibility, and track-specific workouts. If you think life ends as you get older, Glynn has this to say, "My husband of 43 years and I laugh about the year I turned 50. I started pole vaulting and he bought a Harley -- we're still living happily ever after!" Laura Williams is an exercise physiologist and fitness expert who is already planning to compete in the 2032 National Senior Games... she just has to decide which sport. Connect on Twitter @girlsgonesporty.